The ancient sagas are full of heroes, kings and chieftains, fighting for power and glory. Among those champions, the North-Norwegian chieftain Rauðr inn rammi is most famous. Here’s why. The tale of Raud the strong exists in numerous Icelandic sagas. Three slightly different variants exist: The first comes from the Icelandic monk Oddr Snorrason (Late XIIth century), the second is from the famous Snorri Sturluson (Early XIIIth c.) and the last is an expanded saga mixing Snorri’s history with additional tales (Early XIVth c.). All agree on the basic frame of the story. Around the year 1000, the zealous Norwegian king Olaf Tryggvason organizes an expedition to North-Norway to obtain the local chieftains’ support and conversion. During this campaign, many bent the knee but others rose and fought! Raud the strong was one of them. 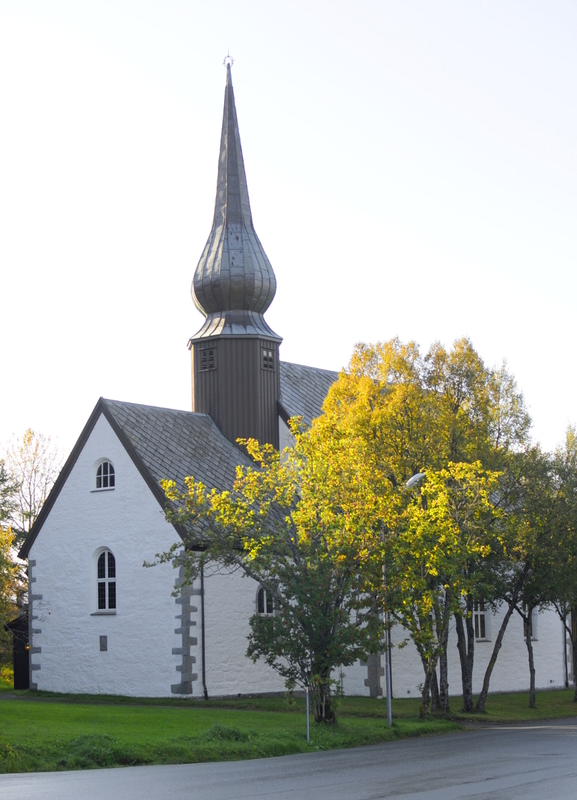 Raud lived around Godøy, near present-day Bodø and had forged deep ties with the local Sámi population. In Snorri’s tale, Raud is described as such a powerful Heathen that a supernatural storm stops the King¨s fleet to reach him (1). (325 – 328). In the longest saga of King Olaf, Raud is described in more details, and receives the assistance of the god Thor himself who raises wind to stop Olaf (2). The tales of Raud’s powerful magics were so widespread that Oddr, apparently overwhelmed by so much Paganism tells of not one but two similarly-named chieftains (3)! Could Raud's ship The Serpent have looked like the famous Oseberg ship? Despite their differences, these tales agree about his end: upon reaching Raud, Olaf tries to convert him who, in a very Heathenish fashion, responds by insulting the King and his god. To punish him, Olaf forces a snake down his throat which kills him. 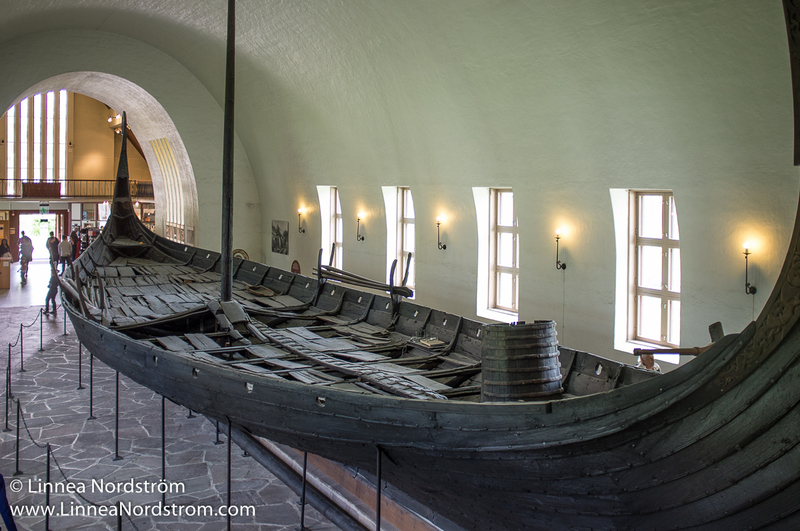 Olaf also takes Raud’s ship, Ormurinn (the Serpent) which was the longest Viking of the Northern lands (4). Today the legend of Raud lives on in North-Norway where his name has become synonymous with defiance towards everything southern. In addition, an historical play about him is presented near Godøy (5) and a local company from Bodø produces some of Norway’s best fish-products under the name Raud (6). All in all, it is likely that the legend of Raud the strong will keep on inspiring people for generations to come. (3) Ólafur Halldórsson (Ed.). (2006). Færeyinga saga. 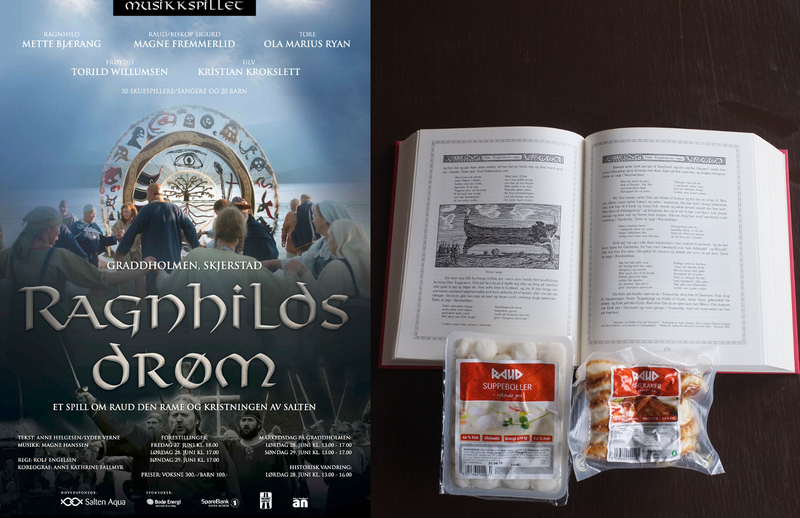 Ólafs saga Tryggvasonar eftir Odd munk Snorrason. Íslensk fornrit. Reykjavík. (235 + 281). In this saga, Raud bears a somewhat different name: Hroaldr.